Little is known about the long-term health effects of e-cigarettes on the human body, but what is most concerning from early experiences and reports is the impact on the lungs. In one recent case, a teenager in Canada developed acute respiratory distress syndrome (ARDS), also known as ‘wet lung’, possibly as a result of inhaling vapour from an e-cigarette. 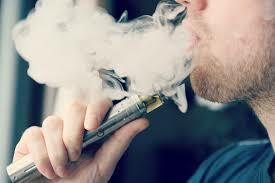 E-cigarettes, or vaporisers, are an alternative to smoking more traditional forms of tobacco. They are handheld devices that vaporise a liquid into vapour on demand as you draw on the mouthpiece. The liquid usually contains a mixture of nicotine, flavourings, and other chemicals, and is then drawn into the lungs like cigarette smoke to deliver the nicotine into the bloodstream. E-cigarettes have rapidly increased in popularity, primarily because they are marketed as a tool to quit smoking. Although there is evidence to suggest that they can help in this regard, it’s important to remember that most e-cigarette liquid still contains nicotine, and so they are not a solution to dependence and addiction. What are the potential impacts of using e-cigarettes? As alluded to, e-cigarettes are now linked to severe respiratory diseases. Specifically, in at least one case, an 18-year-old woman developed ARDS, probably because of e-cigarette use. ARDS is a disease that affects the lungs’ ability to extract oxygen from the air that has been breathed in. It’s caused by pulmonary oedema, which is excess moisture in the lungs (hence the name ‘wet lung’), which in turn is caused by damage to the alveolar walls and pulmonary capillaries (the parts of the lungs responsible for extracting the oxygen). In the case of ARDS and e-cigarettes, its thought that the damage is caused by the vapour inhalation, which functions as a toxin that causes damage when drawn into the lungs. ARDS can be life threatening if untreated. Once the lungs’ ability to properly supply oxygen to the bloodstream is compromised, treatment is required to prevent the problem getting worse. One of the biggest problems with e-cigarettes is that they are relatively new, and so there is still no evidence of their long-term effects. What this means is using them exposes people to a variety of risks that cannot be quantified or understood, and won’t be for many years. Of most concern, as evidenced by the experience of the 18-year-old, is that e-cigarettes are extremely attractive to young people. E-cigarettes come in a variety of fun and attractive flavours that are designed to appeal to young people who otherwise wouldn’t smoke cigarettes. Vaporisers are marketed as safe, and in an environment where everyone knows the dangers of traditional smoking, they appear to be a good alternative. This is not necessarily the case and its likely in the future that more cases of ARDS and other respiratory illnesses resulting from e-cigarette use will occur. It’s important to understand the risks, and ‘wet lung’ is just one potential outcome.